Sales of Kelloggs’ Eggo brand waffles have fluctuated with the release of each season of Netflix’s hit series Stranger Things. 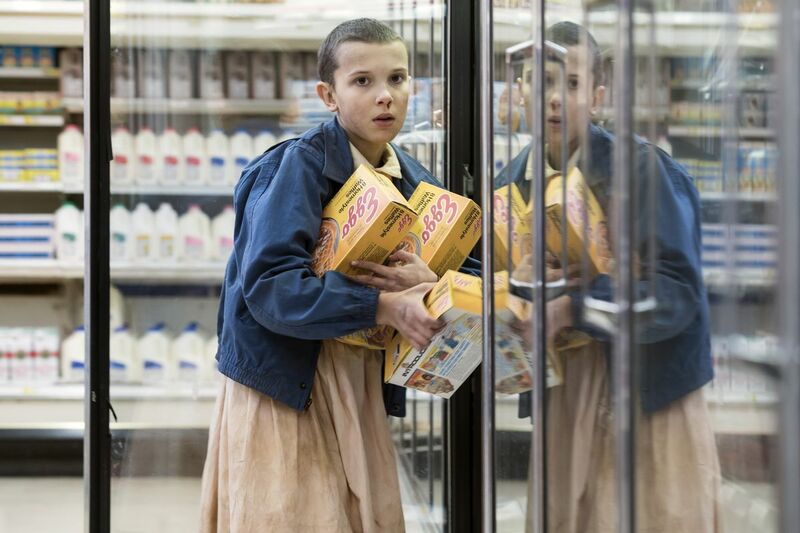 According to CNN, when viewers binge the 1980s-set sci-fi horror series, they also binge on Eggo waffles, the favored food of the show’s breakout character Eleven, played by Millie Bobby Brown. Eggo sales had been declining in recent years, but when the nostalgia-driven Netflix series debuted in July 2016, it really connected with both TV viewers and, apparently, waffle consumers. Kellogg’s saw a surprising surge in Eggo sales once the series debuted. Eleven’s love for Eggo Waffles was a key plot point in the series, in which she was raised in a laboratory, where scientists developed her telepathic and telekinetic abilities. Cut off from the outside world, when she escaped, she quickly grew fond of Eggos and even used her powers to steal a bunch of boxes of the frozen breakfast food. Later, Chief Hopper left waffles for Eleven in the woods. During the 2017 Super Bowl ad to promote Stranger Things Season 2, the series used a classic Eggos TV commercial. Kellogg’s was prepared for Season 2, releasing a number of social media tie-ins with the show’s return to Netflix in October 2017, including special recipes for each episode. The resulting interest from fans led to the largest number of mentions that Eggo had ever received on social media. Sales went up a shocking 14 percent in the fourth quarter of 2017 and were up 9.4 percent in the first four months of 2018. However, as the buzz about Stranger Things Season 2 passes and most everyone who was going to watch it has done so, the sales have trickled down, and for May 2018, they were only 1.4 percent higher than the same month in 2017. With Season 3 of Stranger Things beginning production, you better believe Eggo is coming up with ways to tie-in with the new episodes. There is no way Kellogg’s is going to “leggo” of this marketing opportunity. The post Each Season of Stranger Things Triggers An Eggo Sales Boom appeared first on CBR.